Going to the doctor is never a fun journey for anyone, but with the $279 Home HeartCheck, you might be able to skip that trip to the local doctor’s office, especially when you need to obtain a fast and yet accurate heart reading – which is an important role when it comes to home health preparedness. You can skip queues at the clinic, doing all in the comfort of your own home, allowing you to keep up with how your heart is going on regardless of the time in an easy and convenient manner. Should you have a computer, the Home HeartCheck too can be used to help submit your ECG readings to your physician for he or she to offer advice based on your submitted reading. All readings of your heartbeat would be instantly obtained, where it can pick up regular, slow or rapid heartbeats. 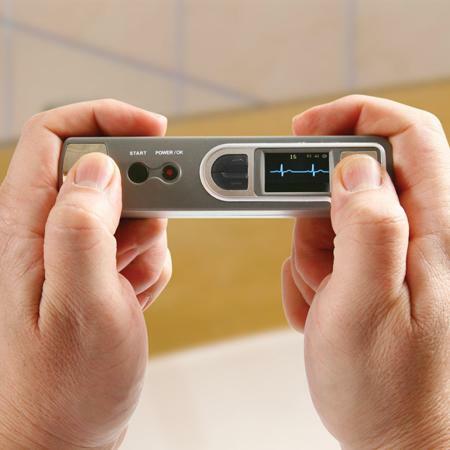 Another advantage of the Home HeartCheck would be this – it is small enough to be so portable, allowing you to take a reading the minute a symptom (including shortness of breath, dizziness, fainting, exercise-related symptoms, palpitations) is felt, regardless of where you are. Just bear in mind that this is not meant to be a substitute for regular cardiac care, and neither should you use this to diagnose yourself if you have a wee bit of medical issues. Powered by a couple of AAA batteries, the Home HeartCheck would be the ideal gift for your aging parents this coming Mother’s Day and Father’s Day.